Take a look at the week’s FREE events and activities below or visit our dedicated Storify page for 10 ideas of how you can get involved with the week. Here are the events and activities that are taking place in Bristol throughout Learning at Work Week. All of the events are open to the general public and are free of charge. We believe that facilitation can change the world. It brings people together to overcome challenges and build resilient networks between communities and with individuals. This seminar is a chance to learn more about facilitation and discover how it can benefit you in the workplace. Spaces are limited, please book early to ensure your place. 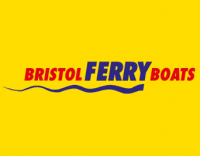 Come and sample Bristol Ferries educational school trips for FREE! The school trips are designed to complement History and Geography curriculums for both Primary and Secondary school ages. The boat trip can bring topics ranging from regeneration or abolition to life. A range of classroom support materials will also be on display. Venue: Bristol Ferryboat Matilda from the Arnolfini landing stage. (Please note that pick-ups can also be arranged from Temple Meads and SS Great Britain). On Tuesday 16 May, wannabe radio presenters are invited to present on BCfm Radio‘s ‘One Love Breakfast‘ or ‘Real Women‘ shows. Recite, sing, interview or simply present live on air. Throughout the day on Tuesday 16 May, Unite the Union will be offering computer basics skill sessions, CV writing workshops, careers advice and guidance, plus more! KPMG and Key Training staff will be running this lunchtime workshop to offer CV help and advice for Apprentices or those thinking of becoming an Apprentice. As part of Learning at Work Week, Citizen Services from Bristol City Council will be running a FREE drop-in session at City Hall for anyone who wants to learn about council services online and discuss the support that’s available to those in need within their local community. A short workshop session to introduce a couple of problem solving techniques. Clarke Willmott are extending their existing Refugee Conversations on Wednesday 17 May to include advice and information on CV writing and interview skills for refugees and asylum seekers connected with Borderlands Bristol or Unseen UK. An opportunity to explore words and poetry by expressing yourself through the use of your hands. An opportunity for over 55s living in Bristol to share their working life stories with those who are just starting out in their careers. It’s a chance to find out about people’s career successes or challenges, with plenty of time to socialise over tea and cake. 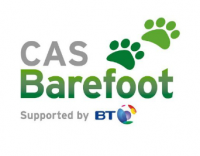 At this Barefoot Workshop, Primary school teachers and educators will be introduced to the Barefoot website and resources. During the workshop you’ll learn how Barefoot complements the computing curriculum and also take part in a number of activities. A big focus of the workshop is “computational thinking”; the core skills that pupils need to go on to become effective coders and programmers. A laughter yoga experience with Joe Hoare that’s fun, energising, stress-busting, embodying and connecting! No forced or fake laughter – all natural and easy. 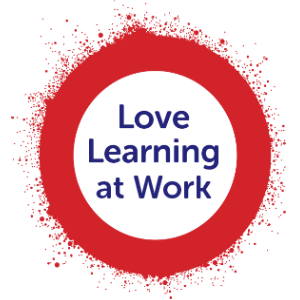 During Learning at Work Week, a number of Bristol Learning City partners and supporting organisations will be offering skills sessions and workshops for their own employees. Learning lunches – skills and hobby swaps. On Thursday 18 May, Clarke Willmott are organising ‘Bring your own hobby to work day’. Employees within the organisation’s Bristol office are being encouraged to share their hobbies and interests with others internally throughout the day. On Friday 19 May, Ovo Energy are organising a ‘Learn@Lunch’ session for their employees. This lunchtime session will give employees the opportunity to sit together with people from across the organisation to learn new things whilst they have their lunch! The Learn@Lunch are short interactive sessions where individuals are encouraged to learn and grow their technical skills or knowledge on key topics. 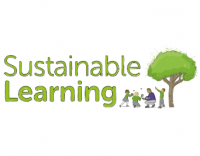 Aero-learning workshop (many thanks to Sustainable Learning, Aerospace Bristol, Hannah Moore Primary School and Bristol Ferry Boats for making this workshop possible).